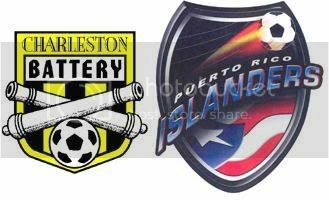 In the series that the Rhinos will be watching very closely, the Charleston Battery take on the Puerto Rico Islanders starting tonight at Blackbaud Stadium. And while the Battery are the higher seeded team, Puerto Rico won the season series between the two teams going 2-0-2 in their four match ups in 2006. Puerto Rico took the first matchup of the season 1-0 in Charleston on May 20th. Mark Oehlman's goal in the 22nd minute was all that the Islanders would need to hand Charleston their first loss of the season. Charleston headed down to Puerto Rico for a weekend doubleheader on June 10th and 11th. The Islanders took the first match up by a 2-1 score. Peter Villegas helped set up first half goals by Kormac Valdebenito and Gus Schellato. Charleston got a second half goal from Gavin Glinton, but it wasn't enough. The following evening the two teams went at it again and this time Charleston was able to get their first point of the season off of the Islanders in a scoreless draw. The two teams met for the final time in the regular season on August 9th in Charleston. The Battery let two one goal leads get away as the teams played to a 2-2 draw. Omar Daley put the Battery ahead six minutes in with a strong individual effort. The Islanders answered in the 23rd minute as Peter Villegas flicked a ball to Alan Marcina who beat Dusty Hudock to tie the score. The Battery retook the lead just before halftime as Ben Hollingsworth set up Gavin Glinton for Charleston's second goal of the game. But, Puerto Rico came back again as Peter Villegas set up Jonathon Lopuski's goal in the 75th minute and the Islanders were able to escape Blackbaud with a point. Given that Puerto Rico has yet to lose to Charleston this season, I have to give the edge to the Islanders. My first impression of this series was that the Battery would take it, but after looking over the history of the series between these two teams, it really looks like Puerto Rico is a team that the Battery just don't match up well against. Sort of like how the Rhinos have not matched up well versus Charleston in the past. And I hope I'm right on this prediction as I think the Rhinos would do well to avoid Charleston in the playoffs. In the other first round match up, we will see a very interesting contrast in styles of play. 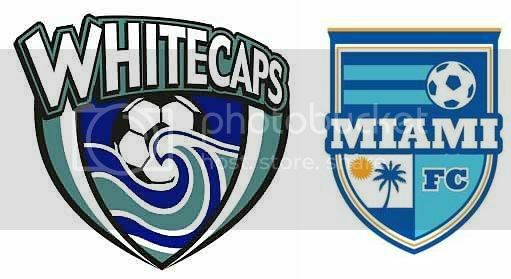 On the one hand you have the defensive minded Whitecaps led by Bob Lilley. And on the other hand you have the all offense, all the time team in Miami FC led by former Brazilian Nats Romario and Zinho. The Whitecaps won the season series, but it took a lot of goals for the Whitecaps to secure the four points that they got off of Miami in the two games that they played. On June 9th, the two teams played to a wild 2-2 draw in Vancouver. In the 8th minute, Jeff Clarke put away a Martin Nash cross to put the Whitecaps up 1-0 early. The Whitecaps held that lead until the 63rd minute when Mario "Loco" Rodriguez headed home a goal to tie the game up. Then in the 90th minute, Romario gave Miami FC a 2-1 lead on a feed from Rodriguez. But, Miami FC couldn't hold that late lead as the Whitecaps got a stoppage time goal Steve Kindel to salvage a point for the home side. Vancouver headed to Miami on August 6th for the second and final regular season game between the two teams. And again, there would be more goals scored in this match than you would expect from a Bob Lilley coached team. But it worked for Vancouver as they came away with a 3-2 road win. Loco Rodriguez again found the back of the net against the Whitecaps as he gave Miami FC the lead in the 18th minute. But, it didn't take long for Vancouver to respond. Jay Alberts set up Joey Gjersten in the 22nd minute and David Testo in the 31st to put the Whitecaps ahead 2-1. Gjersten then got his second of the game during first half stoppage time to give Vancouver a 3-1 lead at the half. Miami FC was able to pull within a goal in the 67th minute as Francisco Gomez converted a penalty that was awarded when Rodriguez was taken down in the Vancouver penalty area. But, that would be all of the scoring for the evening, and Vancouver would escape with three points. Mario "Loco" Rodriguez has not played for Miami FC since coming out in the first half against Atlanta on August 25th. Rodriguez was in on all four Miami goals versus Vancouver this season and if he's not back for the playoffs, that could be a huge problem for Miami. And while I'd love to see Romario, Zinho, and the offensive minded Miami FC advance, I have to give the Vancouver Whitecaps the edge in this matchup. They have the coach and the players that know how to win in the playoffs in this league. And I think that will get them through to face Montreal in the semifinals. The USL will add it's fourth federation to the mix next season as Bermuda will get an expansion USL 2nd Division team pending approvals from the Bermuda Football Association and CONCACAF. The founding ownership of the Bermuda franchise is comprised of former English Premier League players Shaun Goater and Kyle Lightbourne, head coach of the BNT, along with successful local businessman Paul Scope, the former head coach of the Bermuda Women's. The first 1000 fans that show up for Miami's home playoff game versus Vancouver will get in for free. Any students with a school ID will also get in for free. The question now is will that be enough for Miami FC to draw over 1000 fans to the game? The Dolphins are hosting the Buffalo Bills at 1pm on Sunday, so will people even know that Miami FC is playing the game? 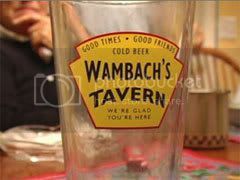 There is a really cool behind the scenes video at USSoccer.com with Abby and her family. I loved the part where Abby's dad asked about what formation they would be playing on Wednesday and Abby said she'd tell him after the camera was turned off and then said "Just kidding, Greg". And I'll do a little shameless self-promotion as I had a piece that I wrote posted by Adam Spangler at This Is American Soccer.com. I had loads of fun on Wednesday, but I wish that a lot more people had come out to enjoy it as well.